Colombo sources stated that Ranil Wickremesinghe is expected to take oath as Sri Lanka's Prime Minister on Sunday after disputed Premier Mahinda Rajapaksa will resign on Saturday, signaling an end to the nearly two month power tussle in the island nation. Reportedly President Maithripala Sirisena has reportedly agreed to reinstate ousted Prime Minister Wickremesinghe in the post after a discussion with him over the phone on Friday. Accordingly Wickremesinghe's United National Party (UNP) said that it was decided during the discussion that he will take oath as the Prime Minister at 10 am on Sunday. 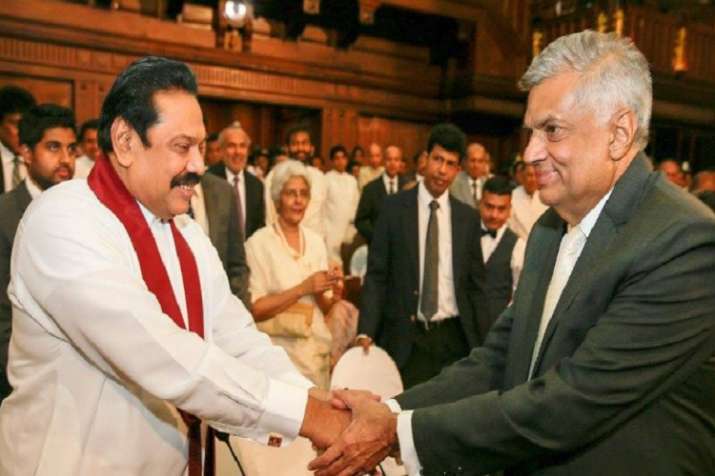 Meanwhile the President removed Wickremesinghe from the post of Prime Minister on October 26 and appointed former president Rajapaksa as the Premier, plunging the country into an unprecedented crisis. Furthermore Wickremesinghe refused to accept the sacking and challenged it in a court and in the Parliament. Moreover Rajapaksa's son on Friday announced that the former strongman will resign on Saturday, after two crucial Supreme Court decisions made the embattled leader's efforts to cling to premiership untenable. Further the apex court on Friday refused to stay a court order restraining Rajapaksa, 73, from holding the office of Prime Minister until it fully heard the case next month.